I found this recipe while browsing Photograzing and thought I'd give it a try. 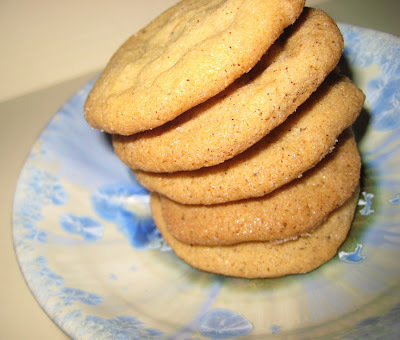 I love chewy snickerdoodles, but every recipe I've tried so far produces the brittle, crisp kind. I figured this one would do the same, but the brown butter/brown sugar combo was intriguing.